Absolutely everything has a vibrational energy or an electrical frequency, even the chair you are likely sitting on as you read this article. This might be difficult to imagine, I mean we are physical beings after all, right? Well this may seem to be our reality, but then who defines reality? When considering our health and wellbeing, everything that we eat, drink, think, do and feel, carries a frequency and either lowers or raises our vibration. Every cell in your body is energetically vibrating and this helps to make up our overall vibrational frequency. 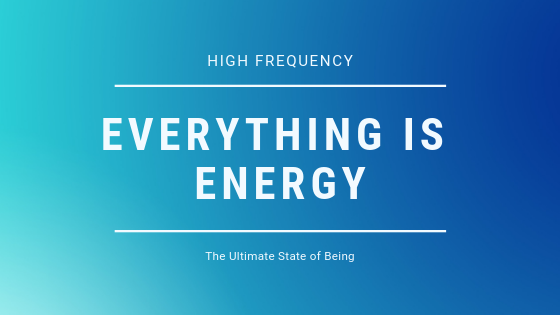 Living at a consistently high frequency is the ultimate state of being and something that we can all achieve! How does that feel, knowing that the nutritional choices that you make each day or the thoughts and emotions that you feel, can potentially revolutionise your entire being? It’s a total game changer! When you are vibrating at a consistently high frequency, you’re more likely to achieve inner peace, to feel uplifted, energetic and importantly less likely to become ill.
Conversely, if you are vibrating at a consistently low frequency, you will experience chronic negative thinking, getting ill easily and regularly, feeling lethargic, lack motivation and may feel you have no purpose. Perhaps even experiencing depression or anxiety. Does vibrating at a low frequency mean this is your lot in life and it cannot be altered? ABSOLUTELY NOT! Change is within each and every one of us, and you can start by really wanting will all of your being, the life you’ve always dreamed of. The secret to change begins with the small, consistent steps and improving your choices. Do you feel like you need support with raising your frequency and living your dream life? Contact me here, so that we can arrange a complimentary ‘Discovering You’ session together.